This Micro Minnie travel trailer will have you and your kids daydreaming about all the outdoor places you can stay for a weekend trip or extended vacation. 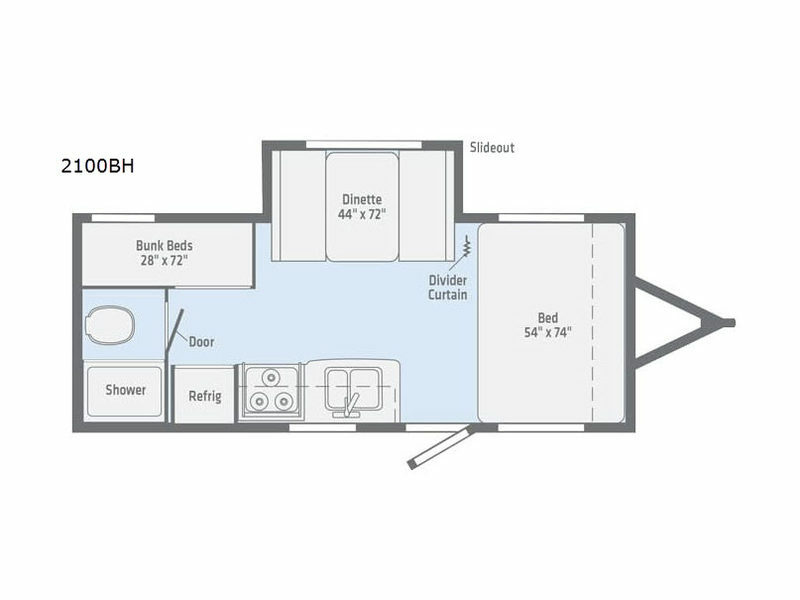 You and your spouse will have a full-size bed with a divider curtain for privacy up front while the kids can sleep on the rear bunk beds next to the bathroom, and with the moonlight shining through the skylight in the bathroom, you will be able to easily see where you are going at night. 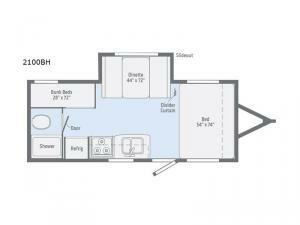 Everyone can take turns using the three-burner cooktop and microwave to make meals while the others visit at the booth dinette that rests upon the single slide.